The acquisition will give Accenture Interactive a distinct marketplace position, further enabling it to lead brands into the future. Today’s news represents an evolution in Accenture Interactive’s journey to build a new agency model – one with the power to engineer transformative brand experiences, and infuse those experiences with the emotional and inspirational power of brand thinking and creativity. The acquisition will end talent agency William Morrie Endeavor’s ties with Droga5. WME acquired a 49 percent stake in the Droga5 in 2013. Founded in 2006, Droga5 is a highly-acclaimed creative agency with more than 500 employees in New York and London. Since its inception, Droga5 has become synonymous with ambitious, influential and industry-challenging work; recent examples include award-winning work for Amazon Prime Video, Tourism Australia, The New York Times, IHOP and Game of Thrones’ epic Super Bowl surprise. The agency has been named Agency of the Year 20 times by organisations ranging from Adweek and Advertising Age to Cannes Lions International Festival of Creativity and the North American Effie’s. In addition to the above, Droga5 partners with brands such as Chase, Prudential, Kraft, Hershey, Hennessy and Under Armour. Accenture Interactive and Droga5 were born in the digital age and are often touted as trailblazers in an industry undergoing radical change. Both were recently named 2019 Fast Company Most Innovative Companies in Advertising. Accenture Interactive was recognised for “leading the merger of strategic consulting, ad-tech and creative work,” while Droga5 was lauded for its offbeat and transformative ad campaigns. By joining forces, both organisations will be better poised to fulfil their common ambition of building a new agency model — one designed to deliver clients and consumers with seamless, rewarding brand experiences at every touchpoint. David Droga is Australia’s most successful advertising export and the single most awarded Creative Director in the world. Before founding Droga5 in 2006, he had been the first Worldwide Chief Creative Officer for the Publicis Network, as well as Executive Creative Director of Saatchi London and Regional Creative Director for Saatchi Asia. Before leaving Australia in 1995, he was a partner and Creative Director of OMON, Sydney. 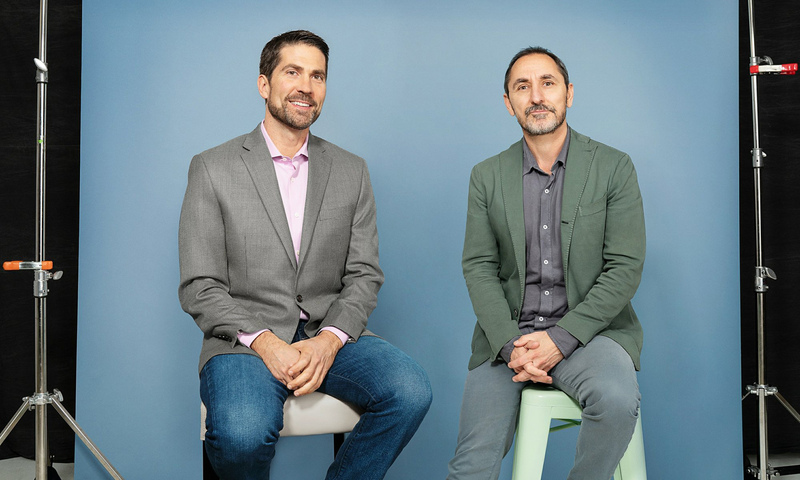 Pictured above: Brian Whipple (left), global CEO, Accenture Interactive and David Droga (right), founder & creative chairman. Now they can hire a UX-UI designer or a web designer or a python programmer to create ‘user experience’ and make the person their ECD/CCO. He will decide the future of a brand and create great advertising. Another masterful move from David Droga. Admiration plus!